Sony and Panasonic have developed a next-generation optical disc for enterprise storage with an initial capacity of 300GB. Dubbed the Archival Disc, it will have the same dimensions as current Blu-ray discs and will also be readable for at least 50 years. The disc will have three layers per side. It’s expected to hit the market in 2015, with the initial capacity later expanded to 500GB and then 1TB. The higher capacities will be achieved through signal-processing technologies including multi-level recording technology, the companies said. Sony and Panasonic are pushing the optical discs for cloud service companies and archival services amid the explosion in online data. The companies will market the discs separately under their brands. The discs do not need a special storage environment with constant temperature or humidity and do not require air conditioning, the spokesman said, adding that users can also benefit from reduced power consumption compared to using linear tape-open technology (LTO), a magnetic tape storage format. While LTO cartridges have greater capacity, typical lifetimes can be a lot less than the 50 years for optical discs. HP’s LTO-5 Ultrium 3TB cartridges, for instance, are warranted to last 30 years. Hard drives can have even shorter shelf lives. Failure rates in one study were at nearly 12 percent after three years. 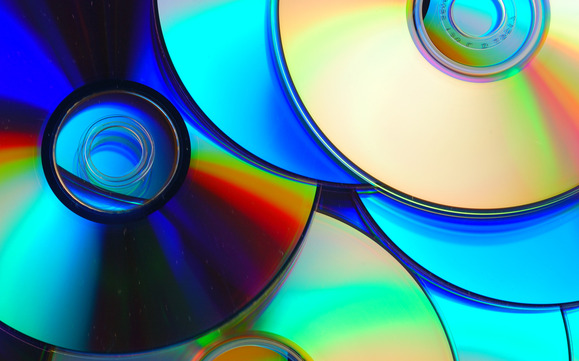 Sony and Panasonic said that as optical disc formats evolve, inter-generational compatibility ensures that older discs can still be read by corporate storage systems. However, the companies are not positioning the discs as a medium for consumer storage.